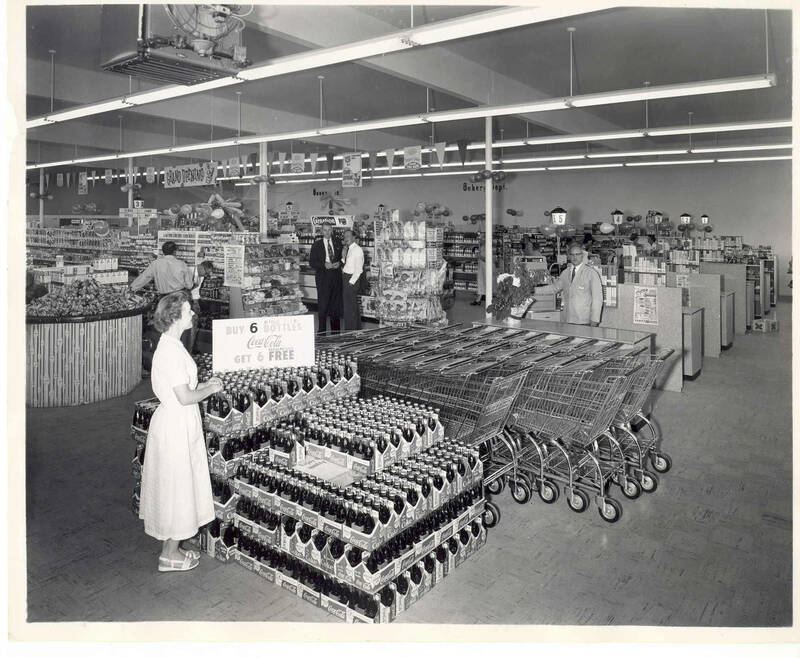 The 1957 grand opening of Lamb’s Thriftway, a supermarket in Garden Home, Oregon. Products including Coca-Cola, Carnation milk, bananas and other items appear in displays. Forrest Lamb, one of the owners and developers of the store, stands at first checkout register. The Thriftway building was on the northeast corner of the intersection of Garden Home and Oleson roads.